Granite Bay Craftsmen is a premier remodeling firm with over 20 years of expertise and a portfolio of hundreds of custom projects. GBC works closely with you to design and deliver exactly what you want, within your budget. 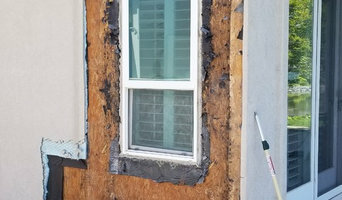 Unlike many contractors who leave portions of the job unfinished or avoid answering the client's calls after the project ends, we are always accessible to you. Our clients have complete trust in us personally and professionally, and we work very hard to maintain that trust. 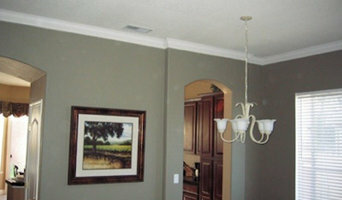 Quality of workmanship is foremost to us. As "Craftsmen" we are both artisans and builders, and take great pride in our work. The Portfolio page will give you an idea of the variety and complexity of our project history, from the simplest bathroom makeover to full-scale restorations. We work with every kind of property, whether commercial or residential; and every budget. We look forward to meeting you and bringing our unique talents and craftsmanship to your home or business. Aqua Artist is your most reliable Waterfeature & Rockscape Contractor in the Greater Sacramento Region. With over 20 years of experience in commercial and residential masonry, we can help you create your Dream-Scape! We specialize in a broad range of landscaping techniques and work together with a team of professionals to bring you a well-rounded approach and design to perfectly fit you. We follow the philosophy that each landscape is unique and provide each client with a personalized plan to fit their desires and the landscapes’ specific needs. California Patios has designed and built thousands of patio covers, sun rooms and enclosures in Northern California. Our award winning designers and patio builders will create a beautiful structure that will bring your friends and family together for many years to come. We are based in Yuba City and serve Lincoln, Rocklin, Roseville, and many other Northern California cities. With California Patios you can expect to get a beautifully designed patio, or sunroom… at an affordable price! 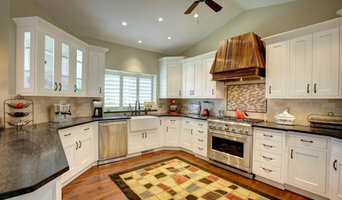 For a free design consultation and estimate please call us at 916-284-0987. California Patios has over thirty years experience in the home construction industry. You’ll find more information about our company, products, photo galleries, and customer testimonials throughout this website. We take great pride in our work. The painstaking detail in our designs, and the quality of construction is obvious in every structure we build. Please visit our photo galleries and see for yourself. With California Patios you’ll get the patio cover, enclosure or sun room of your dreams for much less than you’d expect to pay. Whether you’re looking for a team of Roseville, CA professionals or a handyman for a small renovation, you’ll find dozens of professional profiles and contact information for specialty contractors here on Houzz. Here are some related professionals and vendors to complement the work of specialty contractors: General Contractors, Landscape Contractors, Architects & Building Designers, Interior Designers & Decorators, Kitchen & Bath Designers. Let’s say you want to install custom wood flooring in your dining room, and you’ve found a Roseville, CA company with excellent reviews. Next you’ll want to contact the company and make some inquiries. Find specialty contractors on Houzz. Look in the Professionals section of our website under Roseville, CA specialty contractors, then select the nearest metro area for a contractor. You can also look through California photos of completed projects to see how a contractor might approach design challenges.